We enjoyed staying here, a family of four plus the grandparents upstairs. Excellent location close enough to main street but far enough away for peace and quiet. So close to beach you can hear the waves at night. The pool, while not overly big, was refreshing to swim in. Everything you could want in the kitchen, plenty of towels, beach things for the kids. I had such a peaceful rest here and everyone else in the complex was very welcoming and quiet! Would love to stay again. Could not have enjoyed our stay better. 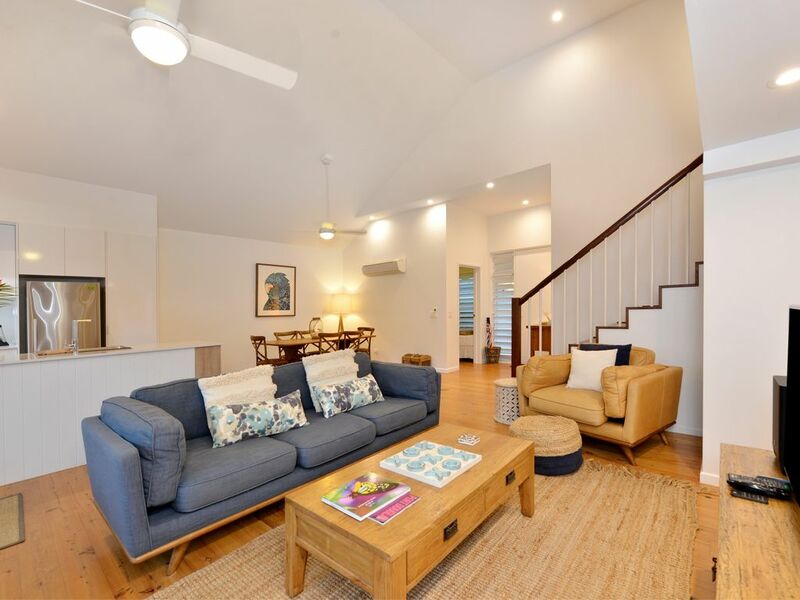 Perfectly positioned for a short stroll along the beach to Macrossan street. Own, heated swimming pool- just stunning. Will be back. Absolutely loved our stay at Beach villa 2. Loved the privacy and every comfort we could have wanted. Very comfortable bed and totally clean. Thoughroughly recommend this property.